Thank you for using local, sustainable blooms and choosing Hillen Homestead for your wedding flowers. We are excited to work with you! Our contract is below - please read over the contract, submit your confirmation form at the bottom, and pay the $50 deposit to reserve your date. Once we've received payment, we will confirm your reservation (this may take up to a week, especially during the busy season). Please note: The contract and deposit below are only for clients who have already contacted Hillen Homestead to confirm date & flower availability. If you'd like more information or you'd like to send an inquiry, please head on over to our general Weddings & Events page. Identify a point person to help coordinate and set up while you're busy getting ready. Set aside work space (with water) where you can be messy. "Fresh From the Field Wedding Flowers" is a helpful resource with video tutorials and checklists. How much to order? A small-mouthed mason jar uses about 10-25 stems depending on the look you're going for. As a rough estimate, one DIY flower bucket may make: 1 bridal bouquet OR 2-3 bridesmaid bouquets OR 3-5 centerpieces. 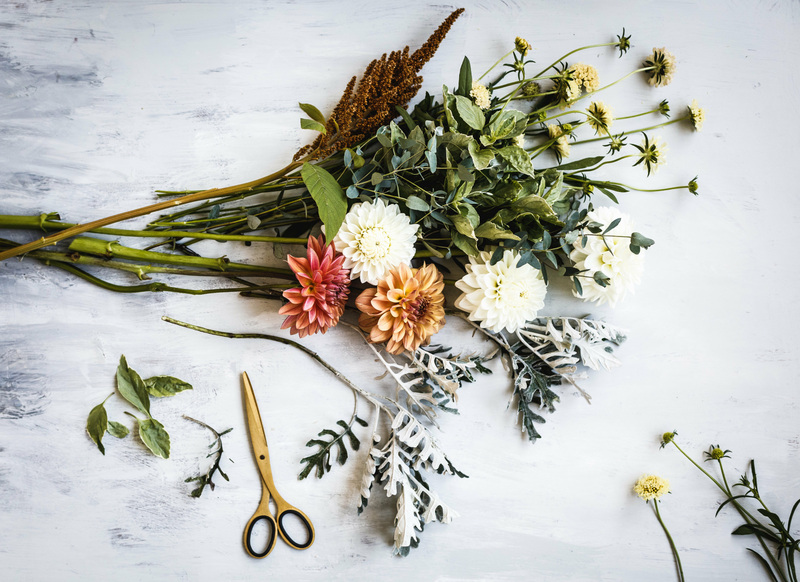 Even if you don't plan to grow your flowers, Georgie Newbery's Grow Your Own Wedding Flowers is loaded with tips for DIY arranging, stem counts, supply lists, timelines, and more. By submitting this contract, I (the Client) agree to purchase loose flower stems from Hillen Homestead (the Farmer) for the event date specified below. The Client agrees to pay a $50 non-refundable deposit and order a minimum of $225 before sales tax. The deposit can be paid online (see link below) or mailed to 2736 Guilford Ave. Baltimore, MD 21218. The Client agrees to pay the full balance by cash or check (made out to Hillen Homestead) at the time of pick-up or delivery. 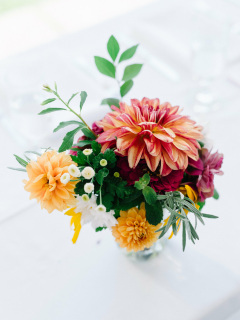 The Client agrees to place an order at least two weeks in advance of the event by specifying total number of buckets you'd like and the percent of flowers vs. foliage (we recommend 1/3-1/2 foliage). If there are changes after the initial order is placed, the Farmer will do her best to accommodate requests but cannot make guarantees. The Client acknowledges that the Farmer cannot offer additional guidance in ordering and planning flowers. Please check out our Weddings & Events page for recommended resources or consider a one-hour $50 consult for more in-depth support, including suggestions of supplies, stem counts, and other tips and suggestions (link to purchase below). The Client is welcome to specify preferences of colors/styles/flowers, but please know that the Farmer cannot guarantee specific varieties ahead of time. On rare occasions when necessary, the Farmer may supplement with flowers from other local growers who use similar growing practices. Generally, the Client should plan to get their flowers 1-2 days before the event. The Client and Farmer will work together to find a mutually agreeable time for harvest and pick-up/delivery. 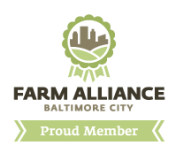 The Farmer may be able to offer delivery within Baltimore City for a $40 delivery fee. Pick-up is available for no additional fee from one of the gardens (near Clifton Park) or in Charles Village depending on timing. After pick-up, the Client is fully responsible for flower care and should keep flowers in fresh water in a cool, dark place. The Farmer agrees to provide high-quality, sustainably-grown cut flowers for the Client's event. The Farmer will strive to accommodate the Client's color and style preferences whenever possible. You will receive an email confirming your date for bulk flowers after payment is processed. Your deposit will be credited toward your balance as long as your pre-tax total meets our $225 minimum. 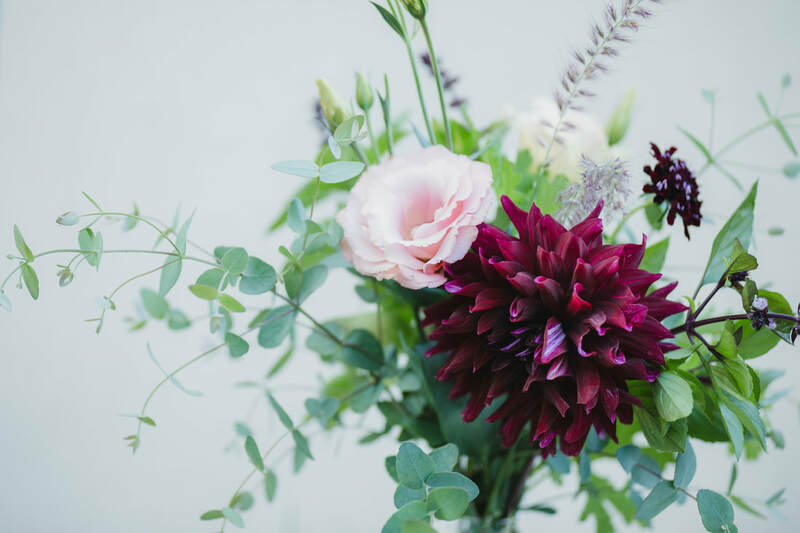 This one-hour consult with Hillen Homestead owner includes a specialized tip sheet for DIY wedding flowers and personalized guidance on stem count, supply list, and design planning. Consult may be donein person or by phone.